Public Health England (PHE) has set out a new blueprint for occupational health nurse education, designed to respond to the changing nature of work and workplace health, and the challenges of an ageing and increasingly multidisciplinary OH profession. The guidance, Educating occupational health nurses: an approach to align education with a service vision for occupational health nurses, has been put together in collaboration with Health Education England, higher education institutions, lecturers, the Royal College of Nursing, the Association of Occupational Health Nurse Practitioners, the National School of Occupational Health, the Faculty of Occupational Health Nursing Development Group and OHNs. It sets out a framework of the essential components that should be included within OH nurse course curricula – essentially the requisite theory, knowledge and skills that must be part of any programme. This includes the need to examine OH’s public health role, the function and scope of research and evidence-based practice, leadership, management and professional practice, as well as the effect of work on health and wellbeing and vice versa (the effect of health and wellbeing on work). 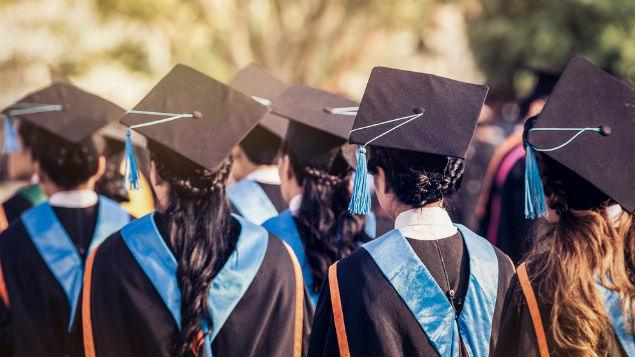 The guidance incorporates a range of “general prompts” for higher education institutes and lecturers, to help them to assess and refresh their OH nursing educational programmes. For example, it argues these should include whether or not the programme adequately allows for multidisciplinary professional education; if it is suitably adapted to meet the key requirements of OH nurses; whether or not it includes sufficient high-quality, clinical placements; and if the scope, input and level of teaching is as it should be. Pauline Watts, nurse lead for quality, mental health and learning disabilities at PHE, said the guidance was, in part, an acknowledgement that current approaches to education “may not always develop occupational health nurses against a well-defined curricula that considers the broad aspects of the role alongside skills and competencies required to address current and future workforce needs”. 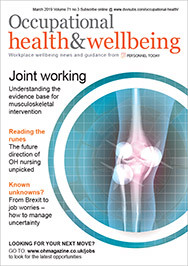 It was designed to respond to the challenge of rising levels of lifestyle-related, chronic ill-health conditions and a multi-generational workforce, meaning there is now a greater emphasis on health and wellness within the workplace rather than simply the prevention and management of sickness absence and accidents. On top of this, there is now more of a focus on the impact of physical and mental health on performance, capability, engagement and productivity. “In future, occupational health practice may extend beyond the workplace to those who are economically inactive. However, there is also a shortage of dedicated, qualified OH practitioners to undertake this work,” Watts pointed out. “Occupational health nursing finds itself at a time of change, so it was timely to review priorities for educational programmes to consolidate and develop a new approach. Occupational health nurses recognise that these programmes must continually evolve and adapt to meet new workplace challenges, as well as to continue the valuable work of the profession,” she added. The full guidance can be found on the blog of PHE chief nurse Viv Bennett or via the Royal College of Nursing’s website.